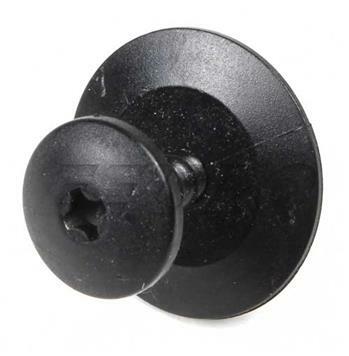 Exapnding rivet used on select 3, 7,and M3 series. Founded in 1916 in Bavaria, Germany BMW has produced high performance automobiles since the release of the sensational 507 roadster. Introduction of the e9 CS coupes and e24 6 series coupes paved the way for the iconic e30 which created and dominated the executive sports sedan market securing BMW an indelible page in automotive history. Not content to rest on its laurels BMW cultivated the 7 series as a worthy antagonist to the Mercedes S-class sedans and released the exotic 850i to compete with the CL500 and CL600 luxury performance coupes. Establishing itself also as a premier luxury car manufacturer BMW has secured an enviable spot at the table with the German big three. Keeping that soul stirring BMW engine running smooth as silk is our passion at eEuroparts.com. We have access to thousands of Genuine BMW parts that are either in stock or just a few days away. When you buy Genuine BMW parts you're buying and replacing the parts on your vehicle with a part of the exact same quality, fit, and finish of the original. Genuine BMW sets the standard for your vehicle. Also look for Genuine BMW parts built by our expansive list of OEM and OES suppliers including: Bosch, Sachs, INA, FAG, Luk, MANN-HUMMEL, Mahle, NGK, and nearly 50 other OEM suppliers in our catalog. If this is not the exact Expanding Rivet you are looking for, or you would like this part in a brand other than Genuine BMW, please contact us and one of our customer service experts will help you locate the exact part you need. eEuroparts.com® proudly offers wholesale prices and fast shipping available on most orders. 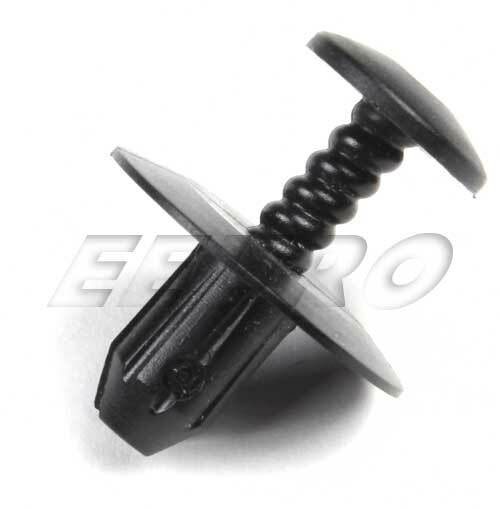 We also provide inexpensive and guaranteed 3 day, 2 day, and Overnight shipping options, so if you need your Expanding Rivet tomorrow, eEuroparts.com® can deliver! Every eEuroparts.com® order is track-able, meaning you'll know exactly where your Expanding Rivet is at every step of the shipping process. eEuroparts.com® also displays your Expected Ship Date and transit time in your Cart, making our entire shipping process simple and transparent.